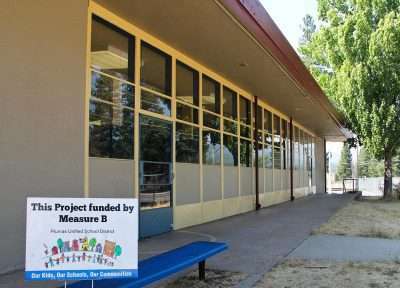 When Plumas Unified School District students return to class at the end of this month, fresh paint, new carpets and 21st century classroom furniture will be just some of the improvements they’ll enjoy in their school environments, thanks to Measure B bond monies approved by local voters in 2016. 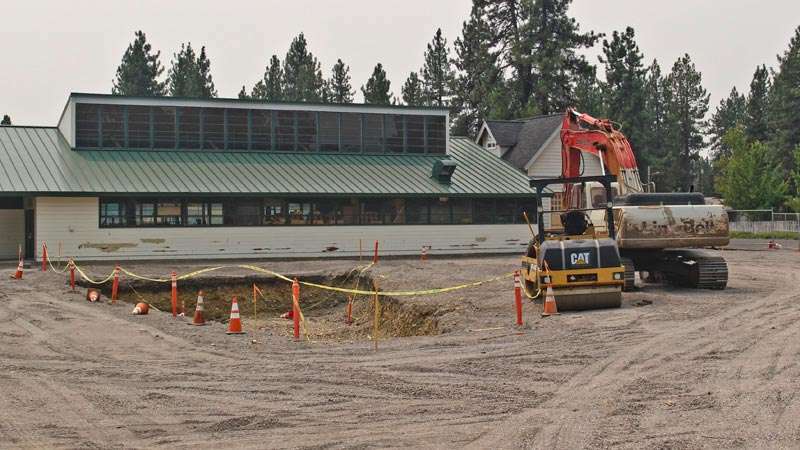 Work to modernize the district’s school facilities has been proceeding at a steady clip with keen oversight by the school board and the Plumas County Office of Education. 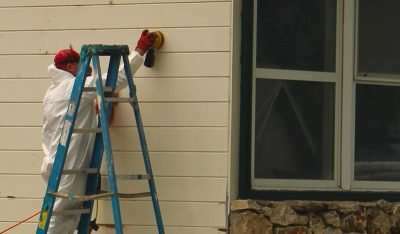 It’s been a race against time to get critical updates completed over the summer and before winter weather comes to the mountains. 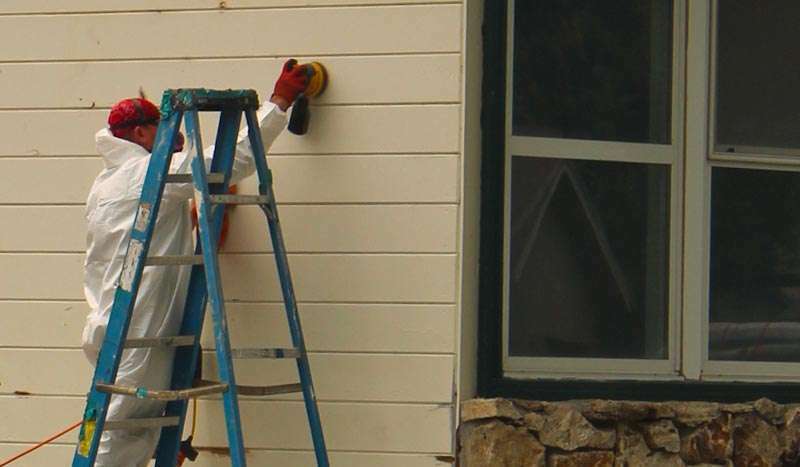 Some of the most visible improvements that local families will notice are the attractive new paint jobs that Chester High, Pioneer School and Portola High campuses are sporting — each of which required hazardous materials prep before the work could begin. 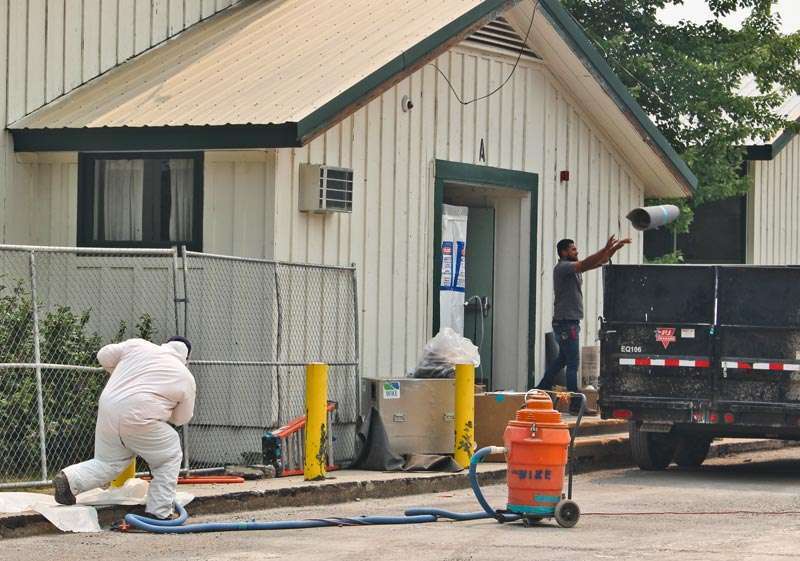 “They all required a full lead-paint abatement process to remove any hazardous materials first,” said Ray Bakker, PUSD maintenance and operations supervisor. The school district also released this comprehensive site-by-site list of updates late last week. Projects completed at Chester Elementary School so far include new entry steps, a pilot program to install 21st century classroom furniture (two rooms), new perimeter fencing and removal of the old pump house. Projects anticipated for CES in the 2018-19 school year include a marquee, installation of wiring and an intruder alert system, roofing repairs or replacement for portables and security camera(s). 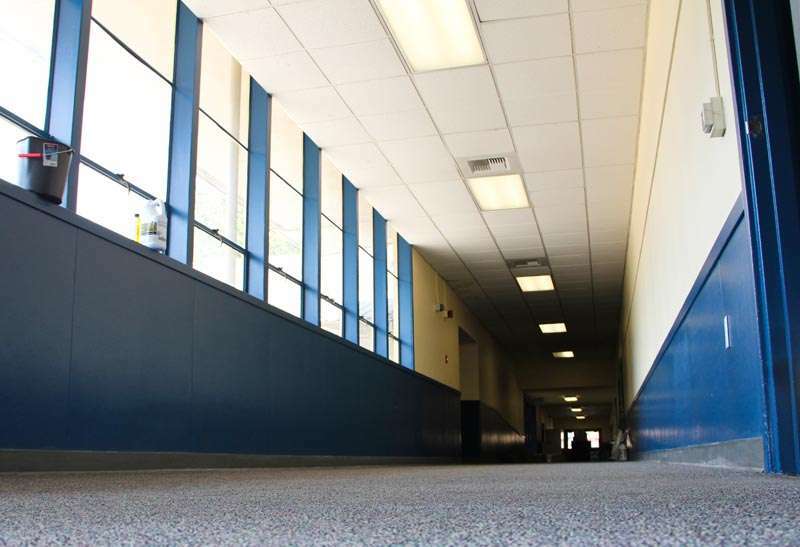 Projects completed at Chester Junior-Senior High School so far include interior painting (lockers, too), new energy-efficient window coverings, a pilot program to install 21st century classroom furniture (one room) and new perimeter fencing. Projects anticipated for CJSHS in the 2018-19 school year include repairs to address parking lot drainage, painting the exterior of the building, replacement of the marquee and athletic field/front of school irrigation systems, wiring and a new intruder alert system, security camera(s), classroom furniture, three modular units for storage, removal of a tree out front, a new concrete front entry and concrete replacement stadium bleachers. 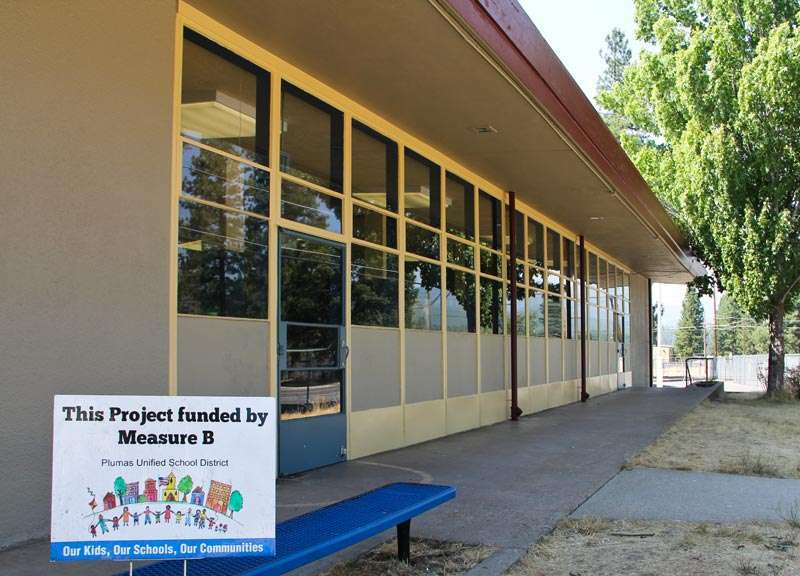 Projects completed at C. Roy Carmichael Elementary so far include an intruder alert system, a pilot program to install 21st century classroom furniture (two rooms), roofing replacement for portables, new energy-efficient window coverings, replacement cafeteria tables and new exterior fencing. Projects anticipated for CRC in the 2018-19 school year include security camera(s), new classroom furniture, six new restroom floors, new carpet for three classrooms and interior paint for the library. Projects completed at Indian Valley Elementary School so far include new cafeteria tables, a pilot program to install 21st century classroom furniture (two rooms) and new energy-efficient window coverings. Projects anticipated for IVES in the 2018-19 school year include a new intruder alert system, roofing repairs or replacement, security camera(s), and new classroom furniture. 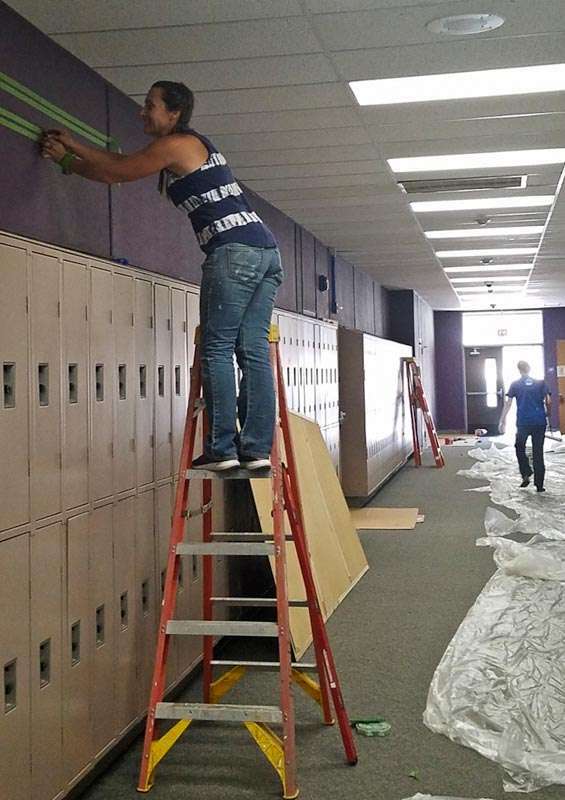 Projects completed at Greenville Junior-Senior High School so far include the gymnasium repairs and upgrades, new energy-efficient window coverings, a pilot program to install 21st century classroom furniture (one room), new perimeter fencing and a survey of property lines. 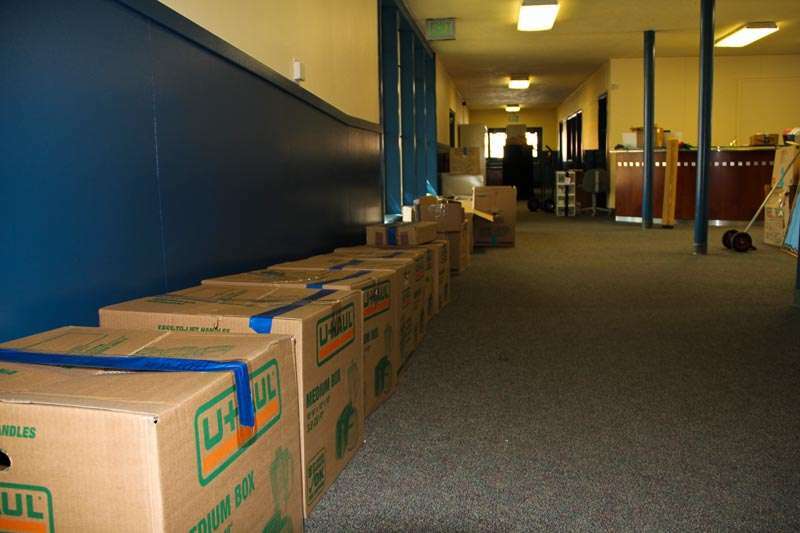 Projects anticipated for GJSHS in the 2018-19 school year include additional classroom furniture; three modular units for storage; removing a Quonset hut; architect’s plans for curb appeal; remodeling work, a new fan hood and new floor in the culinary arts classroom; interior painting for classrooms and administration offices; new flooring for the library, office and band room; and repairs to the softball backstop. 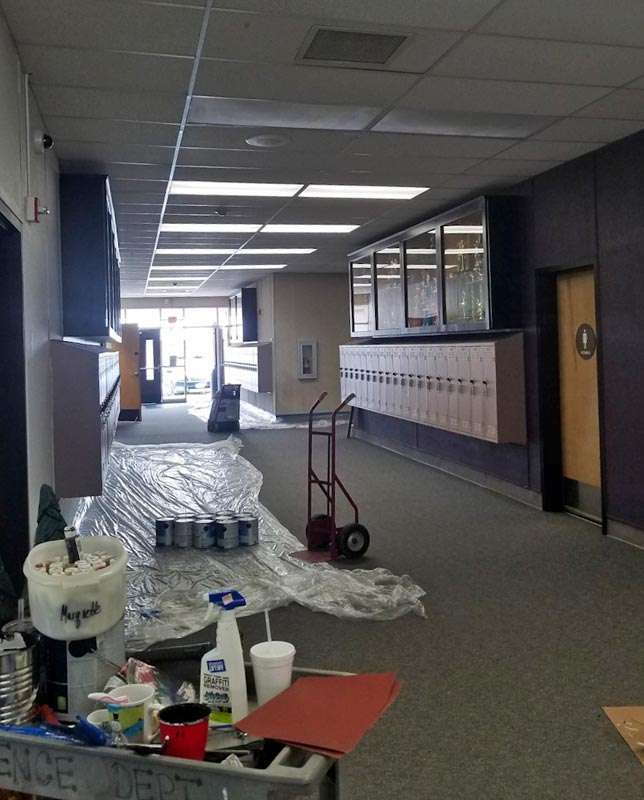 Projects completed at Pioneer Elementary School so far include demolition of an old barn, a pilot program to install 21st century classroom furniture (one room), replacement cafeteria tables, pressure washing and abatement for the school’s exterior, tree removal work and backfilling at the site. Projects anticipated for Pioneer in the 2018-19 school year include relocating staff from QES to Pioneer, finishing painting the exterior, landscaping work, extending the parking lot, considering changes to the bus pickup and drop-off areas, carpet in multiple classrooms, new energy-efficient window coverings, painting and replacing siding for two storage sheds, repairs and exterior paint for the basketball hoops and installing replacement marker boards in classrooms. 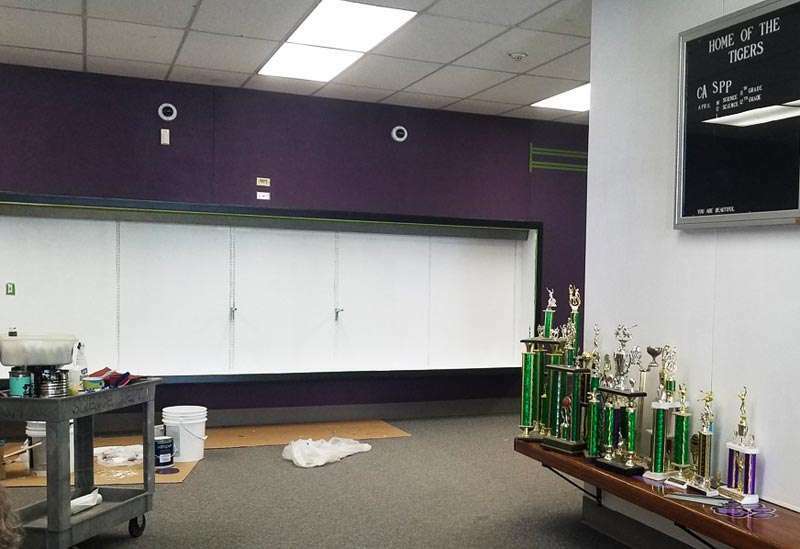 Projects completed at the Plumas County Community School so far include new energy-efficient window coverings. Projects anticipated for PCCS in the 2018-19 school year include providing new classroom furniture. 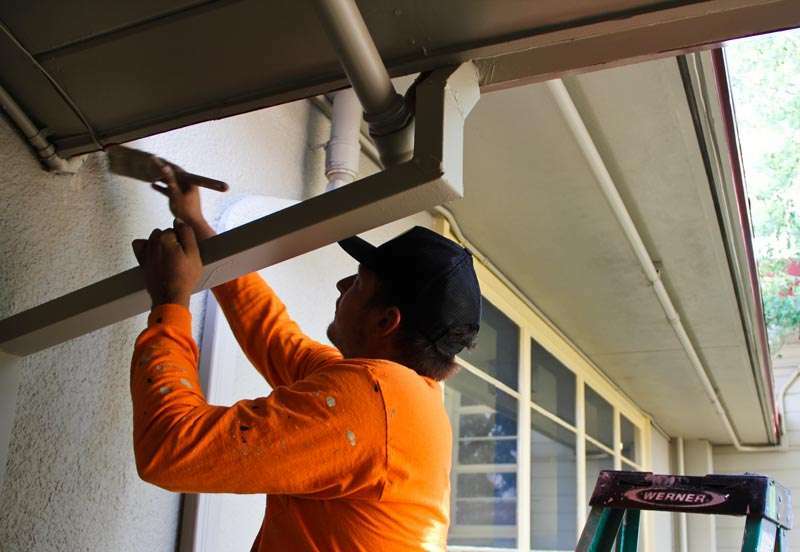 Projects completed at Portola Junior-Senior High School so far include roofing replacement for portables, an intruder alert system, new classroom furniture, new energy-efficient window coverings and a topographic survey. Projects anticipated for PJSHS in the 2018-19 school year include an exterior survey of property lines at the athletic fields, security camera(s), architect’s plans for curb appeal and landscaping, architect’s plans for renovations to the main building, new stairs and landings for the athletic announcer’s booth, remodeling work in the culinary arts classroom and painting the exterior and lockers. Projects completed at Quincy Elementary School so far include a pilot program to install 21st century classroom furniture (one room), abatement projects within the portable buildings and replacement cafeteria tables. Projects anticipated for QES in the 2018-19 school year include having architects work on the school site’s renovation plans and replacing the roofing on portables. 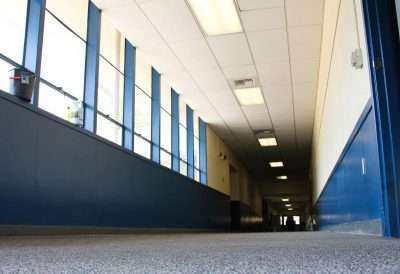 Projects completed at Quincy Junior-Senior High School so far include design of a biomass system, a pilot program to install 21st century classroom furniture (one room), new perimeter fencing and removal of portable classrooms. Projects anticipated for QJSHS in the 2018-19 school year include architects working on gymnasium renovation plans, an intruder alert system, security camera(s), new classroom furniture, culinary arts classroom upgrades, painting the athletic storage and replacement of siding, new stairs, new siding and paint for the announcers booth, and repairs to the girls softball fields and dugouts. 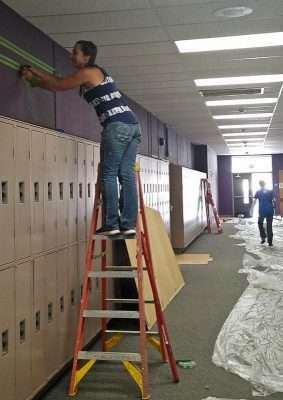 Projects completed on a district-wide basis so far include work on a new network infrastructure, installation of switches and wireless access points in PUSD schools and training for technology staff. Additional projects completed to date include bond measure planning and financial analysis; bond measure project management, counsel and audit services; advertising; and demolition removal fees. Other districtwide projects anticipated for the 2018-19 school year include covering moving expenses for QES to Pioneer and project management oversight. For questions about Measure B school site improvement projects, contact the Plumas County Office of Education at 283-6500.